Fujinon Binoculars - Not Just for Marine and Astronomy Applications! Fujinon binoculars are made by a division of the company that produces the most widely used television camera lenses in the world - the Fujifilm Company. Although the Fujifilm Company was organized in 1934, it wasn't until 1947 that the company produced binoculars. Its first model was the Meibo 6X25 configuration which incorporated advanced performance optics for the time. Fujinon binoculars have earned a reputation for ruggedly durable, sturdy construction. This has made them a favorite with people working in the marine and commercial fishing industries. The FMT, MT, and WPC model lines are particularly valued - not only because of ruggedness, but also because of manner in which they're sealed against moisture. Probably because they're used so extensively in wet conditions, Fujinon says some of its models are "water resistant" - although you'll notice that they're nitrogen purged and sealed with O-rings the same as other brands that say they're waterproof and internally fog-proof. Other models are outright declared to be waterproof and fog-proof. Although nearly indestructible plastics are now available and some Fujinon binoculars are made with them, metal bodies do better in varying temperatures. Fujinon still uses metal and screws in many, if not most, of their models. This naturally results in a somewhat heavier instrument, but also helps to explain the ruggedness for which Fujinon binoculars are known. This ruggedness makes for a binocular that will travel well in a car or truck glove box and easily survive the knocks and bumps. While the Fujinons tend to be a bit heavier than some, you'll still find enthusiastic owners carrying them on hikes and carrying them in backpacks. Fujinon binoculars include an image stabilized model called the Fujinon Techno Stabi generally available in 12X32 and 14X40 configurations. They're enjoying a growing reputation for sharp, stabilized, high-contrast images in many circles. 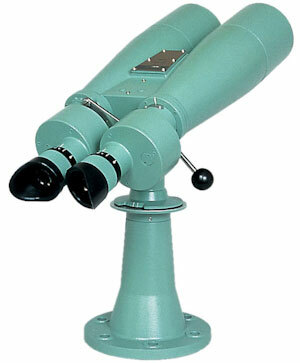 Fujinon marine binoculars include several models. The FMTR, MTR, and WPC models are often used on terra firma as well as in marine environments. The "F" stands for Fujinon's flat-field technology which is used to achieve a crisp image. The "MT" stands for Marine Tested and "C" stands for Compass. The "R" in a designation means the binocular is rubber armored. The WPC model has a polycarbonate body - as opposed to most Fujinon binoculars - and will float in water. The brand has established a reputation for quality and has widespread use in both commercial and pleasure marine activities. The SX designation means the lenses and prisms have been fully multi-coated using Fujinon's patented "Electronic Beam Coating" technology to optimize light transmission, protect against lens clouding, and provide specific resistance to salt water. The 15X80 Fujinon binoculars many have heard about are the Fujinon 15X80 MT-SX. These are made to be used with a mount and are specifically made as commercial-grade optics for fishing vessels, coast guard and other military ships, commercial boats and ships, motor boat and yacht owners, and similar situations requiring the clear viewing of distant images at sea. This Porro prism model is also fully multi-coated using Fujinon's patented electron beam coating for its lenses and prisms. It is specifically made to stand up to a saltwater environment and, with the 15X magnification and 80 mm objective lenses providing an exit pupil of 5.3 mm and eye relief of 16 mm, it can be used by most individuals. It has 210 foot field of view at 1,000 yards (70 meters at 1,000 meters) which is generous for its designed use. Fishermen looking for distant circling flocks of birds (indicating schools of fish near the water's surface) or those seeking to identify distant craft are well served by the Fujinon 15X80 MT-SX. Also enjoying Fujinon's reputation for durable, quality optics are the Fujinon 25X150 MT binoculars. They use Porro prisms to deliver outstanding views with the depth of field provided by Porro prisms combined with the light-gathering ability of 150 mm objective lenses and the close-up images affored by 25X magnification. For a good selecion of Fujinon binoculars at the best prices and accompanied by excellent customer service, we like Amazon.com (USA) for our friends in the United States. Fujinon Techno Stabi Binoculars - a major improvement in image stabilized binoculars for viewing from unsteady platforms or not? Fujinon 25X150 MT binoculars - what you get for your money. Fujinon 25X150 MT binoculars command a premium price. Are they worth it or is there a less expensive alternative?